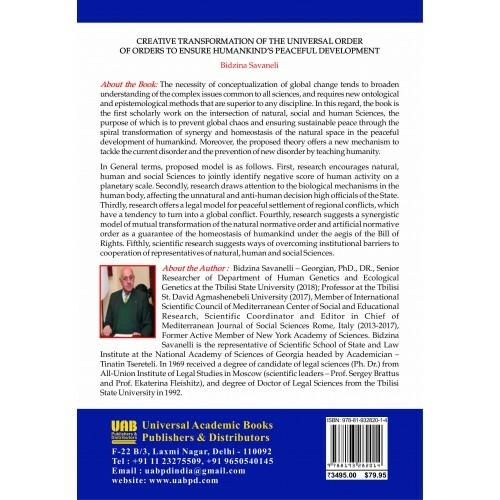 The necessity of conceptualization of global change tends to broaden understanding of the complex issues common to all sciences, and requires new ontological and epistemological methods that are superior to any discipline. 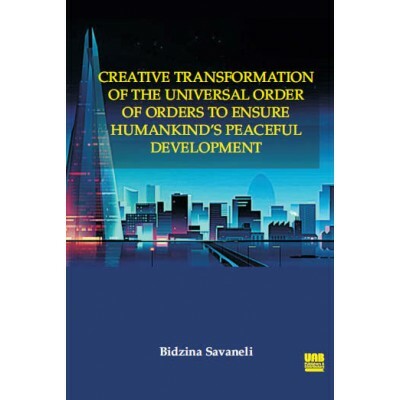 In this regard, the book is the first scholarly work on the intersection of natural, social and human Sciences, the purpose of which is to prevent global chaos and ensuring sustainable peace through the spiral transformation of synergy and homeostasis of the natural space in the peaceful development of humankind. Moreover, the proposed theory offers a new mechanism to tackle the current disorder and the prevention of new disorder by teaching humanity. In General terms, proposed model is as follows. First, research encourages natural, human and social Sciences to jointly identify negative score of human activity on a planetary scale. Secondly, research draws attention to the biological mechanisms in the human body, affecting the unnatural and anti-human decision high officials of the State. Thirdly, research offers a legal model for peaceful settlement of regional conflicts, which have a tendency to turn into a global conflict. Fourthly, research suggests a synergistic model of mutual transformation of the natural normative order and artificial normative order as a guarantee of the homeostasis of humankind under the aegis of the Bill of Rights. Fifthly, scientific research suggests ways of overcoming institutional barriers to cooperation of representatives of natural, human and social Sciences.